Amazon Echo is already leading the list of smart home speakers, with so many amazing Alexa voice recognition functions and a long list of compatible devices, that work seamlessly with this device. Amazon has redressed Echo from the black only option available from the first generation of Echoes. Let look further with my Amazon Echo 2 Review and see if its more then lipstick dressing or real improvements. The bestseller's capabilities have been expanded, and after a major overhaul, the Amazon Echo 2 speaker now offers, even more, benefits: a more compact attractive look, advanced technology features with significantly better sound - and an unbeatable EIA. Set to be released in Canada December 05. The round and compact Echo (2017) is a real eye-catcher. The case is slightly more short and stout, and a little bit smaller than its predecessor. The loudspeaker is protected by optional exchangeable sleeves available in different materials and colors. In addition to the standard housings an outer layer of woven fabric, there are also slightly more expensive versions with different wood and metal optics to choose from. All in all, you can choose between six different versions. Changing a cover is child's play; the loudspeaker unit is simply pushed out of the cover with a little pressure from bottom to top. The processing of the Echo 2 is qualitatively as close as possible to its chic appearance. The speaker weighs 822 grams and stands on a rubber base that belongs to the protective cover, giving a robust and high-quality impression. A total of seven visible microphone inputs are located on the top. However, the positive impression is somewhat diminished by the four buttons for volume control, muting and activating Alexa, the speech assistant. These have slightly spongy pressure points and react to the pressure with little keystrokes. Unlike the Echo Plus and the first edition of Echo 2, you don't need the practical ring to regulate the volume. Just above the stand, you will find a small cutout for an audio output via 3.5 mm jack, should the offered sound not convince you or be enough. The socket for the power supply is also located here, so the Echo 2 does not offer an integrated battery. 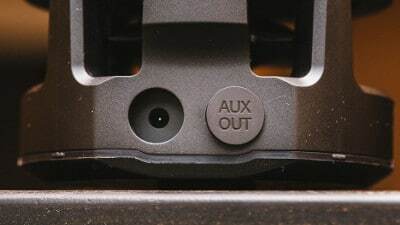 If you don't want to output the sound via the jack socket, you can optionally connect your echo to the corresponding loudspeakers via Bluetooth. A new feature introduced with the upgrade to the second generation of the Echo is the telephony. In the future, it should be possible with Amazon Echo to make voice calls with an Echo device or the Alexa app. You can also send messages or make an audio connection to other household Echoes. Thus, Amazon takes the wishes of many technology fans into account, which often had a lack of call ability on the net. The spherical Echo Spot is also suitable for telephoning. Echo Spot also acts as an alarm clock, but will not be available until 2018. Amazon Echo 2 has improved both audio output and speech recognition. It offers particularly good sound in spite of its more compact dimensions thanks to the 63 mm woofer and 16 mm tweeter. The high and low woofers with 360 sound are complemented by Dolby Sound. The seven microphones with Beam Technology understand better voice commands with more effective noise suppression according to Amazon. In addition, the revised far-field technology should make the recognition of the activation word much more precise. The new and stylish look of the Echo (2017) is appealing, but what does the speaker have to offer in terms of sound quality? The manufacturer promises a noticeably improved sound and uses its own tweeter, a 2.5-inch bass speaker, and Dolby technology. However, the Echo 2 can be turned up quite loud, but the sound seems to be unbalanced and tends to oversteer. All in all, the level of Echo 2 sound does not exceed that of a Bluetooth loudspeaker in this price range between 60 and 100 euros or around a $100 bucks US. In short: Despite new hardware, there is little noticeable improvement compared to the predecessor model. Those who were looking forward to a richer and more balanced sound might be a little disappointed. But the reduction of the price since its original release, is now more inline with its sound quality. It is has comparable sound quality to many Bluetooth speakers for this same money but with not nearly as many tricks as the Echo has up it sleeve. Even the second-generation far-field technology doesn’t provide a much noticeable quality boost in line with our experience. "With seven microphones, Beam technology, and noise reduction, Echo can hear you from any direction - even when music is playing," says Amazon. Well, that sounds great, but we believe there is still room for improvement in this area. Basically, there is little to complain about the recognition of the keyword for Alexa activation, but this only applies if the speaker is calm. Even at room volume, the new loudspeaker gets into trouble and might require you to raise your voice or get close to the device. In addition to the sound qualities, however, Echo 2 inevitably also focuses on the speaker's other capabilities -and these stand and fall with language assistant Alexa. Amazon continues to expand the corresponding functional scope via so-called skills. In the meantime, in addition to the very traditional options, such as checking the weather, the current traffic situation and the control of smart household appliances, there are other practical features available. This allows you to use echo speakers to make phone calls or send messages. You can make phone calls not only to the owners of an Alexa loudspeaker but also to anyone who has the Alexa app installed on their Smartphone or tablet. Alexa also plays live reports of the 1st and 2nd Bundesliga, the Champions League or the DFB Cup via the echo speakers. Of course, you can also start playing music or audio books from Spotify or ​Amazon Music (Prime, Unlimited). If you decide to buy a number of Echo speakers, you can create a multi-room environment via Alexa-App and have the ability to operate Alexa from several rooms at the same time. However, all options also apply to owners of the first generation Amazon Echo (Dot) and Echo Plus or Echo Show. 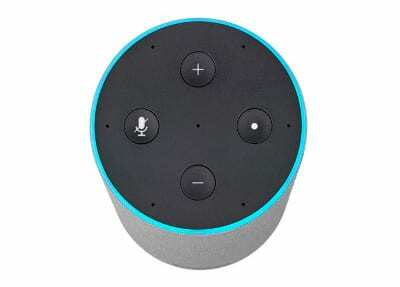 Via the cloud-based AV S (Alexa Voice Service), Amazon Echo can play music by voice command to the virtual assistant Alexa Music, set alarms and timers, check calendars, weather, traffic conditions and news or sports scores, answer questions, create to-do and shopping lists and read aloud, compatible smart home devices - and make calls. 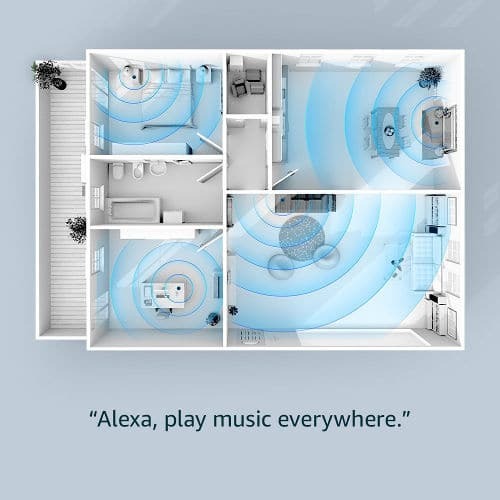 With multiple echo devices in the home, Amazon's Multi-room feature can be used for music from streaming partners such as Amazon Music, Tuneln or Spotify. Alexa is not only responsible for entertainment in the Smart Home, with her help Amazon Echo controls 2 smart lights, radiator thermostats and switches for a more efficient, comfortable and energy-efficient home. A rapidly growing number of Alexa skills further extend the functionality of the Amazon Echo 2. Here a a number of things Alexa Voice command can do. Play music by voice command to the virtual assistant Alexa Music. What is compatible with Amazon Echo 2? It seems that nothing could stop the Amazonian march of victory. The only advantage to the Google Home loudspeaker in the past was is its pleasant appearance. This was an issue with the first generation Amazon Echo with its hard black steel look, but they have improved the look and now give consumers a broad range of looks to fit any decor. Amazon Echo 2 is also intended to enable telephony and the sending of messages between Echo speakers and the Alexa App - in combination with the benefits of language assistant Alexa, Google now has no more real advantage in the smart home market compared to Amazons growing ranks of intelligent communication and control devices. Add to that if you are a Amazon Prime member and already have Amazon Fire TV devices in your home the Echo will seamlessly integrate together. In contrast to the two voice-controllable speakers, Amazon Echo Show is also able to display image or video files. A smaller less expensive version the Amazon Echo Dot is also available. In combination with the smart doorbell ring, for example, it can even be used as an intercom. For these extras, technology fans pay much more at Echo Show than for all other echo speaker models. Last but not least, language assistant Alexa will also receive some new features to better respond to the wishes and needs of smart homeowners. The second generation of the Amazon Echo is still not available for testing and will be shipping December 05 in Canada - so any vulnerability is not yet known. But since its debut a few years ago it has slightly improved performance and a greatly improved look at around half the price of the original $199. Even less if you watch for sales. In contrast to newly launched Smart Home speakers from competitors such as Google, Panasonic or Lenovo however, Amazon already has the concentrated power of the Alexa functions, which supports the Amazon ecosystem, Like Amazon Prime Movies and music seamlessly. Improved hardware, a visual overhaul, and a low price: the update to Amazon Echo 2 will be worthwhile.